For the past eighteen years, Unique Design has been bringing Toronto residents works of art in the form of windows, doors, shower enclosures, tabletops, glass dividers, and kitchen backsplashes. We serve the entire Greater Toronto Area and beyond, specializing in carving designs of all complexities into glass and mirror through the process of sandblasting. 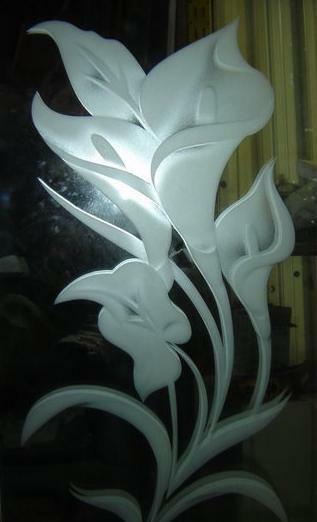 In our state-of-the-art sandblasting studio high pressure jets of sand are directed at the glass surface, carving out a crisp, mutli-layered design according to your specifications. The result is a piece of art unlike anything you've ever seen before: stunning, original, and timeless. And unlike superficial methods of styling glass with chemicals or adhesives, sandblasted glass is extremely durable and can be cleaned with the same household solutions that you already use for glass. Our professional artist, Eric Bendelman, is a graduate of the prestigious Institute of Visual Arts in Kishinev, Moldova. Every piece of mirror and glass is handcrafted to perfection in his able hands. Glass is the canvas, and the unique style and ambiance of your home combined with the creativity of artist and customer are the sources of inspiration for the design. Our mission is to provide our customers with functional glass and mirror products at competitive prices. Our philosophy is simple: make the customer feel like he or she owns something special - a piece of art. From the initial consultation to the design and crafting, and finally to the moment when you first lay eyes on the resulting masterpiece, you will feel like your imagination is being actualized by the skilled work of a true master. At Unique Design, you are more than just an order number. Join the hundreds of home and business owners who have experienced what a difference an artist's touch can make in creating a beautiful interior space: click HERE to email or call us for a free consultation today!